Search For "Agriculture" Companies in Perry, Florida - Click Here Now! True Grain Wood Crafting Specializes In The Design And Custom Building Of:Cabinets, Furniture, Wine Racks, Wet Or Dry Bars, Mantels, Entertainment Centers, Entry Ways, Specialty Mill Work, Closets And Much More. 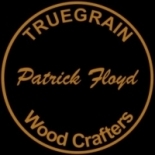 Cabinets & Furniture By True Grain Wood Crafting in Perry is a company that specializes in Lawn & Garden Services. Our records show it was established in Florida.